We’re fascinated with robots because they are reflections of ourselves. We as a species are unquestionably fascinated by robots, less by the superb practical application and more by the idea of creating metallic men, which can act, look and behave exactly like us. The idea that we would ever start to create machines that look like us is so wonderfully self absorbed that it’s somewhat horrifying how it has permeated so much of our cultures opinions on the future of technology. Robots have featured in a huge variety of wonderful songs, from Dan Mangan‘s whisky soaked mechanoid love song Robots, to The Flaming Lips famous pink-robot smashing heroin Yoshimi. They’ve been parodied by Flight Of The Concords, permeated the work of one of our current finest pop-stars in the shape of Marina & The Diamonds excellent early track I’m Not A Robot; robotics have even arguably affected the very development of synthesisers such was their influence on the works of Kraftwerk. Though few, if any of them seem to take robotics as the basis for the creation of anything other than a metallic version of ourselves. Ask a child to imagine a robot that’s main duty is to sweep the floor, they will most likely draw a human being with a broom for an arm, but in reality it would be something like the programmable vacuum cleaners that already exist in our homes. The talking robots so prevalent in Sci-Fi films, such as Hal in Space Odyssey essentially are just the computers we already work on now with a more human form of interface. Futurama is possibly the greatest spoof of the human obsession with robots, Matt Groening and his team have created a future where a multitude of tasks are carried out by robots, but they have also developed their own communities, there’s a robot gangster, a robot Santa Claus and even robot orphans! Wonderful, hilarious creations one and all but of course in reality a complete improbability, why on earth would we programme robotic orphans, or robotic gangsters? Robots as we have been made to imagine them are so wonderfully unlikely, that we often don’t think of all the incredible robots that already exist as being the huge forward step they were, robots make our cars, carry out complicated and life saving surgery, and terrifyingly control the path of bombs and bullets in war zones. Yet until they have human arms and talk to us we won’t even consider them to be robots, as is so often predicted robots might end up taking over the world, but by the time they do we might not even notice they exist! Former Polaris Music Prize winning solo artist Patrick Watson composes, performs and records his albums with a full band that includes guitarist Joe Grass, percussionist Robbie Kuster and Mishka Stein on bass. Patrick deals in the sort of melancholic indie-folk that has been the rage since Dylan first went electric. His songs seem to be drawn not from any sort of trend or movement but by the essence of classic songwriting, it’s all perfectly poised, ambitious baroque pop and rich in the history of music. His voice, a piercing high and delightfully melodic affair which draws inevitable comparisons with Jeff Buckley but also hints at his contemporaries with touches of James Mercer of The Shins, M.Ward and even on his more soulful moments Michael Kiwanuka. Patrick is from Montreal, although he was born South of the border in Lancaster, California and raised in Hudson, Quebec. Montreal is home to the superb likes of Godspeed You! Black Emperor, Arcade Fire and The Dears, as well as the brilliantly named Lesbians On Ecstasy and infamous one hit wonders Bran Van 3000. Patrick released his debut, and in many ways only solo, album Waterproof9 back in 2001. He then recruited his bandmates, including Robbie and Joe who are still with him, and formed the Patrick Watson band. They’ve released four albums since, including 2007’s Polaris Prize winning Close To Paradise and their most recent effort, 2012’s Adventures In Your Own Backyard, which was the first one picked up by UK label Domino. The follow up, Love Songs For Robots, is out May 11th again via Domino. Many years into a career that has seen him become well respected world wide, and something of a superstar in his home country, Patrick still strikes us as a musician who’s coming to terms with his gifts, and with each release just seems to become a stronger and more intriguing songwriter. Take current album, Love Songs For Robots, inspired by the relationship between emotional and mechanical reactions, it plays out as an exploration into what separates us from robots, concluding that it is not our emotional response that defines us but our un-programmable sense of curiosity and inspiration. It’s a fascinating theory, he explores in a series of cinematic tracks that are sonically rich, beautifully produced and deeply emotional. Patrick’s voice carries a lot of the records emotional clout, it is at once fragile, and elastic, floating effortlessly between octaves whilst also remaining on the edge of cracking with the weight of his words, whilst Patrick doesn’t carry the same sense of grandeur, there’s something of Wild Beasts’ frontman, and Domino Labelmate, Hayden Thorpe in the flexibility he brings to his vocal performance. Throughout the album is a highly ambitious composition, for example, take Hearts; it starts off with fluttering acoustic that bring to mind fellow Canadian, Dan Mangan or even Johnny Flynn, then gently builds via synths, slide guitars and the pulsing of a bass drum, until it suddenly becomes an Afro-Beat pop song, then morphs in a big rock homage to Ziggy Stardust era David Bowie. An influence he revisits on Grace, which sadly isn’t a Jeff Buckley cover, but is another slab of 1980’s Sci-Fi meets rock crossover, all huge crescendos and oddly used effects pedals. Elsewhere Alone In This World is an upbeat, largely acoustic number with shades of Willy Mason and a good slab of The Beatles sense of melody, Mr.Wolf is a delightful slice of rapid piano arpeggios, superb acoustic guitar patterns and swells of synth and guitar, whilst In Circles is as close to dub-step as he’s ever likely to get. Possibly best of all is Know That You Know, the whole track fades in coated in echo and distortion and only slowly resolves into the foreground, revealing itself as the aural equivalent of a smoky bar or a sleazy motel, a blend of hushed lightly-jazzy vocals, trip-hop drum patterns and slowly unwinding electric guitar lines, it’s a delight! For all the bold claims of exploration into deep, intellectual territory, an oft delivered criticism of Patrick Watson’s work is that the emotional clout he attempts to deliver is actually lost into something that doesn’t quite live up to the promises made. Love Songs For Robots is the album where perhaps he has began to live up to them, as it becomes more than just the work of an expert sound-track producer and more the work of a deeply talented songwriter as well. Love Songs For Robots is out May 11th on Domino. 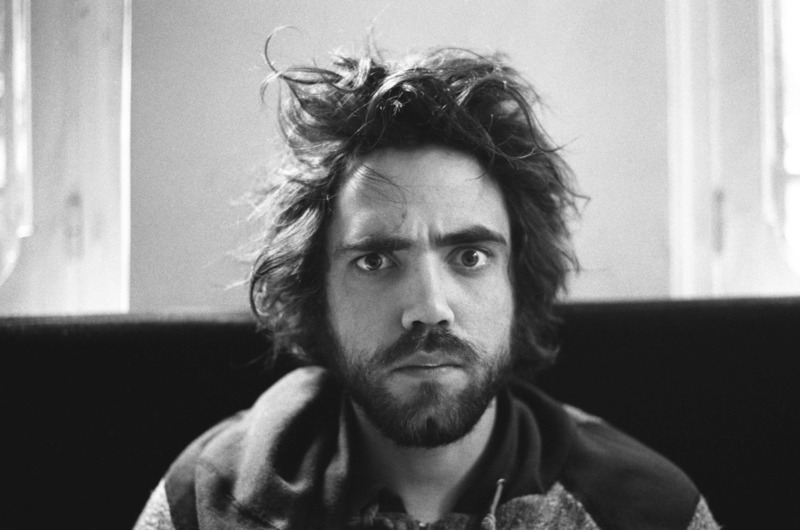 Patrick Watson plays Bush Hall on the same day.